It’s almost Thanksgiving! So be sure to celebrate it with the Berenstain Bears! The Bears first celebrated Thanksgiving in 1980, when their NBC Thanksgiving Special, “The Berenstain Bears Meet Bigpaw,” aired for the first time. The Bear Family learns the meaning of the holiday – and makes a special new friend – in a classic animated cartoon. The Thanksgiving TV special eventually spawned the book, “The Berenstain Bears’ Thanksgiving” (Scholastic, 1997), which is the storybook version of “Meet Bigpaw.” The book is now out of print but can be easily found used on sites like Amazon and eBay. 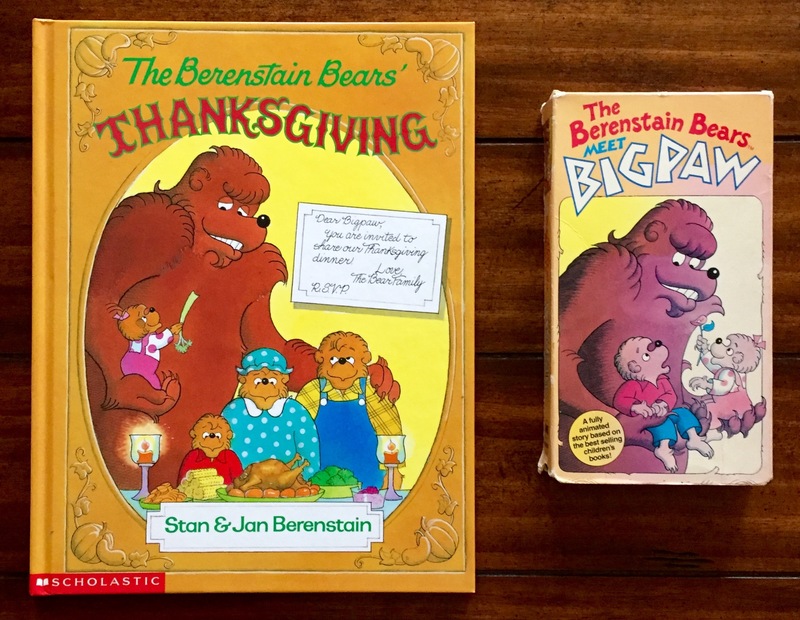 Of course there are several other Thanksgiving-related Berenstain Bears titles, including “The Berenstain Bears and the Prize Pumpkin” (Random House First Time Books, 1990) and the newer “The Berenstain Bears Thanksgiving All Around, a fun lift-a-flap book (Harper, 2014). 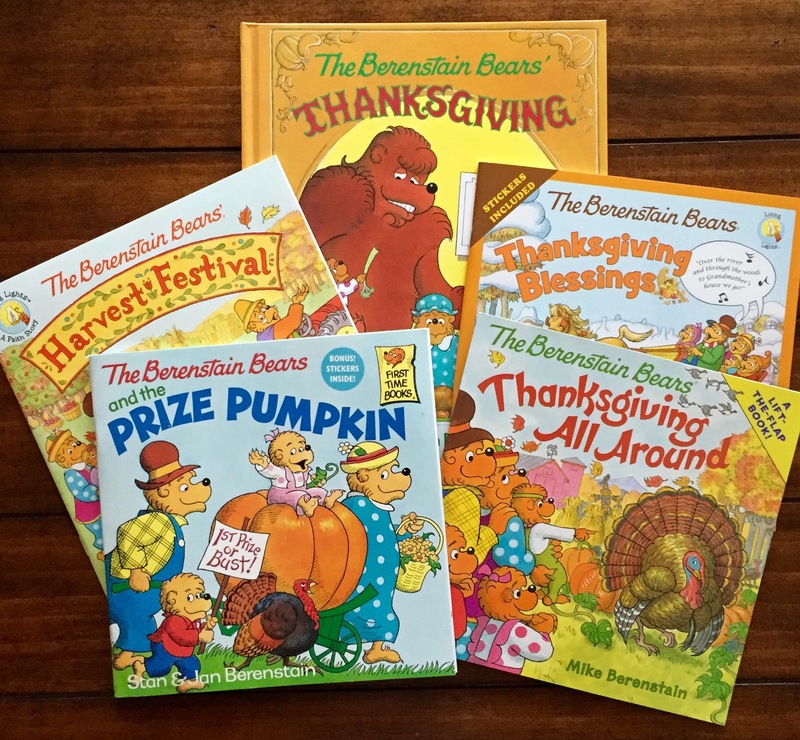 And Mike Berenstain’s Christian-themed Living Lights series has three Thanksgiving-related titles: “The Berenstain Bears Give Thanks” (Zonderkidz, 2009), “The Berenstain Bears’ Harvest Festival” (Zonderkidz, 2015) and “The Berenstain Bears Thanksgiving Blessings” (Zonderkidz, 2013). FURTHER READING: Visit the Official Berenstain Bears Blog for information about the Bear Family’s favorite foods during the Thanksgiving season!